Back-to-school e-commerce sales are predicted to grow almost 15% reaching a massive $74 Billion globally. By this time, students are going back home with a list of supplies' request from schools to their parents in what is expected to constitute $74 billion trade globally! You as a retailer have a chance to capitalize on that, grow your sales and win a customer if you follow these 5 tips offered by Payfort. As for the online retailers (which are the focus of the payfort article) this is easy. Including back to school themed graphics, guides and showing what items are popular with your customers will help big time. You can apply the same methods in a physical store by organizing the store displays, assisting the customers and having the theme in decoration. For your online shop, have a separate section for back to school items. Don't distract your users by your other products and help them find what they want easily. Let's be honest, competition is fierce and we don't need to burden those parents with more than they can handle; instead, let's make their day with a small offer or a little money-save that can help you be their favorite retailer. We all procrastinate. 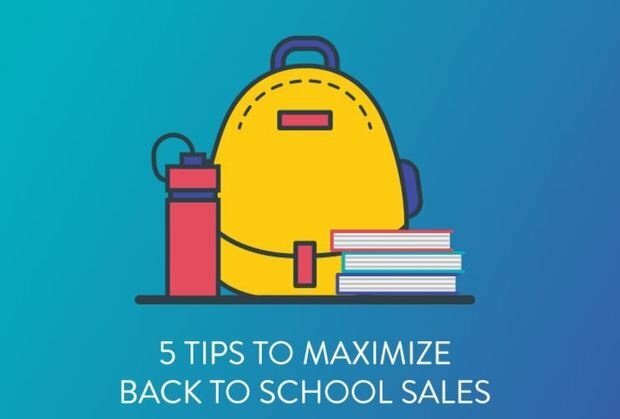 Keep your products and offers as long as you can, promote the urgency to get this shopping done and (ideally) the fact that your customer can finish all the pending school shopping in one visit to your store. Throw in a discount code at the exit to persuade your customer to go back to his cart and complete the purchase.